Dr. Scott Mason claimed the city of Lubbock, Texas as home before attending Texas Tech University and Lubbock Christian University. He completed his pre-dental studies early at the University of Texas at Arlington before attending and receiving his Doctor of Dental Surgery (D.D.S.) in 1993 from Baylor College of Dentistry, now known as Texas A&M University College of Dentistry. He began his dental career as a Grapevine dentist in 1993. Outside of dentistry, Dr. Mason serves as a deacon at Countryside Bible Church in Southlake and enjoys time with his two sons, Mitch and Chase, hunting, fishing and attending Texas Rangers games. He and his wife, Cathy, live in Grapevine, and enjoy watching their boys grow into Godly men as they attend Texas A&M University. Dr. Mason enjoys changing people’s lives through dentistry, from simple tooth-colored fillings and crowns to full cosmetic smile makeovers. His technologically advanced CEREC® machine enables him to make and bond all-ceramic crowns and on-lays in a single visit. He is extremely sensitive to making his patients as comfortable as possible while receiving dental care and he feels patient satisfaction is the highest measure of success. 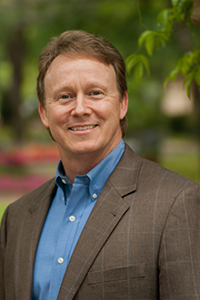 Dr. Scott Mason is a member of the American Dental Association, Texas Dental Association, Academy of General Dentistry, Fort Worth District Dental Society, the Association of Alumni for Psi Omega Dental Fraternity, Grapevine Chamber of Commerce, Tarrant County Better Business Bureau, and the North Texas CEREC® Study Club.